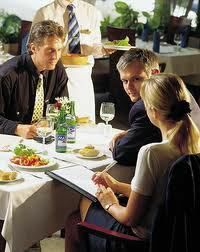 SHOULD YOU NETWORK OVER A MEAL? With all the new technology flooding us everyday, we can overlook some of the easiest ways to connect with people. Webinars and Skype are both great tools for connecting, but we cannot overlook the power and importance of physically being with other people. Some of the most powerful deals made occur over a meal or on a golf course. Neither of which you can accomplish through the internet. These situations call for the meeting of people to exchange ideas face to face. There is a lot you can learn from people that cannot be seen from a monitor or a webcam. Those little idiosyncrasies one can only pick up by spending time in the presence of other’s. You may learn that someone is left handed or they are allergic to shellfish. They may tell you about a sick relative they have. Any of these thins may assist you in making a stronger connection with that person. Sharing a meal with others shows that you are not afraid to invest your time and presence with people in order to reach your goal. When people feel as though you care enough to spend time with them, they are more apt to seek out your services. They will view you as a worthy person of good character. This is still important today!